Need information? Give us a call at 423-261-2039 . We will be happy to assist you. Bring the taste of the woods home to you table with a very unique and deliciously flavored vinegar that has a hint of pine. Made with either apple cider vinegar or white distilled vinegar and white pine needles. This is a delicious vinegar for a balsamic substitute. $8.00/8 oz., plus shipping. Hearts of palm are the tender buds of certain palm trees. Tender yet crunchy, hearts of palm lend a unique taste and texture to many dishes. Use sliced pieces in appetizers, salads, omelets or baked dishes. The following makes a simple dressing to enjoy over a salad made of sliced hearts of palm. 1 small clove of garlic, 1/2 cup Alessi extra virgin olive oil, 2 TBS. 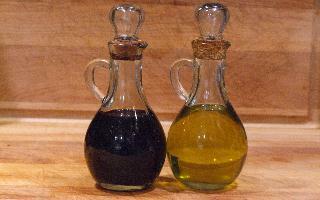 Alessi white balsamic vinegar, 1 1 /2 TSP. Dijon mustard, freshly ground seal salt and pepper to taste. In a food processor or blender with machine running, drop garlic through food tube. When well minced, add rest of ingredients and process ten seconds. 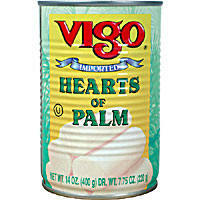 Serve over chilled hearts of palm. More recipes below. Combine all salad ingredients in bowl. In separate bowl, mix ice cream, mayonnaise and peanut butter thoroughly. Thin with either pineapple juice or ginger juice. Pour over salad and serve. Mrs. N. D. Sassard, Inc.